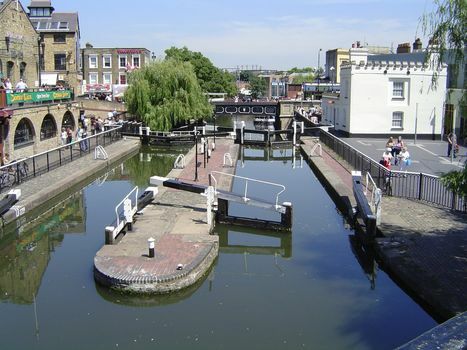 This is the view a few miles upstream at Camden Town, near the Hampstead Road Lock. Although now only recreational, horse-drawn barges lingered along the canal until 1956. The system has never closed.